Israel Wood Powell (1836-1915) Past Grand Master – Temple Lodge, No.33, Duncan, B.C. 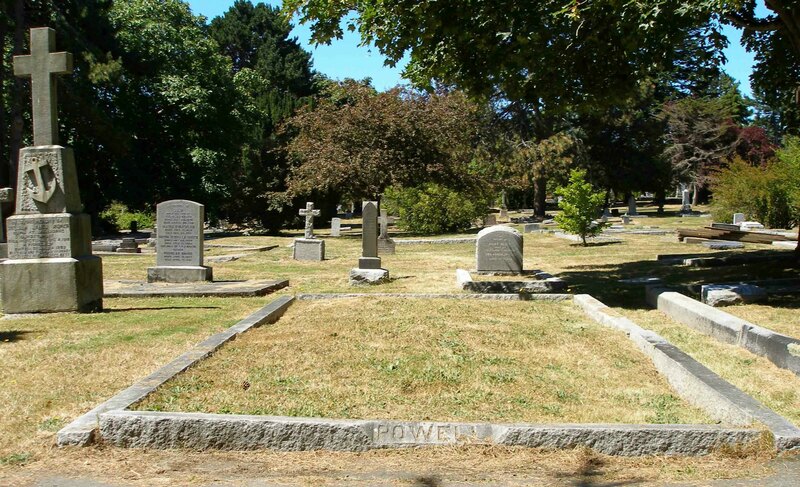 As part of our Vancouver Island Masonic History Project, with its sections on Vancouver Island Cemeteries – Masonic Interments and Deceased Brethren, here is a page on Dr. Israel Wood Powell, who is buried in Ross Bay Cemetery, Victoria, B.C. Israel Wood Powell was a member of Elgin Lodge, No. 348, G.R. Scotland, Montreal; Erie Lodge, No. 149, G.R. Canada; Vancouver Lodge, No. 421, G.R. Scotland; Vancouver & Quadra Lodge, No. 2. 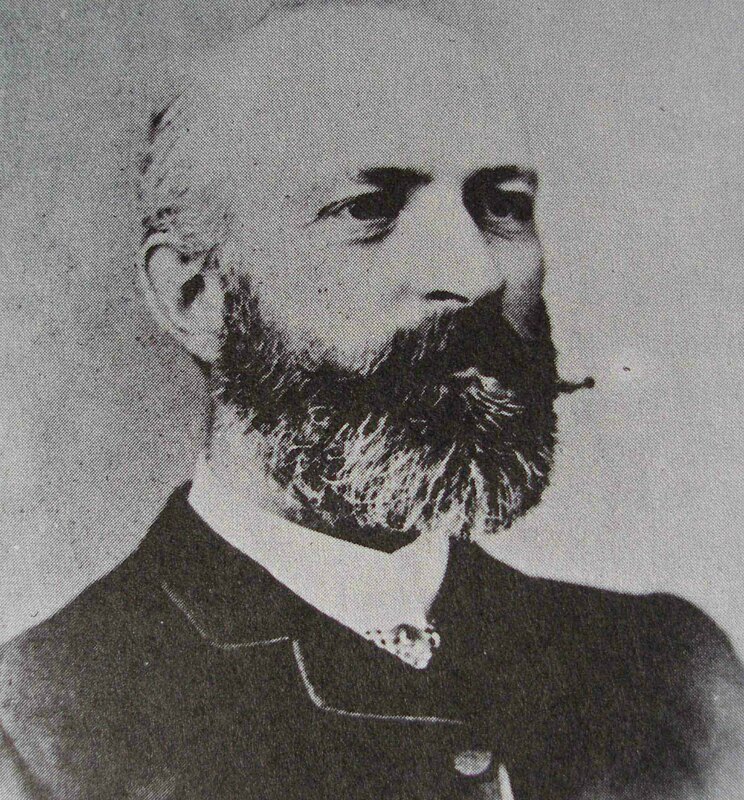 Dr. Israel Wood Powell was the first Grand Master of the Grand Lodge of British Columbia in 1871. Among his many services to Freemasonry, he was instrumental in forming the Grand Lodge of B.C. in 1871. Prior to the formation of the Grand Lodge of B.C., Masonic Lodges in B.C. operated under warrants issued by the Grand Lodge of England or the Grand Lodge of Scotland. Dr. Powell lived an active life. Powell Street in Vancouver, B.C. and the City of Powell River are named for him. See below for additional information on M.W. Brother Dr. Israel Wood Powell. The late Most Worshipful Brother Israel Wood Powell, First Grand Master of Masons in the Grand Jurisdiction of British Columbia. These opening words of the “Ideal of a Freemason” in our Installation Ceremony are singularly appropriate as a summary of the character of our late Brother Powell, whose death, since the last Communication of Grand Lodge, is mourned by not only the friends and Brethren who had the privilege of his acquaintance, but also by all Freemasons in British Columbia who know the large part he played in the early history of this Grand Lodge. The life of Brother Powell may be very properly described as a life of service — service to Canada, service to British Columbia, service to Freemasonry, and, last, though not least, service to his family and friends. To few men, who have reached, as Brother Powell did, the ripe age of seventy-eight years, is granted, in the evening of their lives, the satisfaction enjoyed by him in looking back to a life full of work for his fellow men—work crowned by successful achievement. Coming to the Colony of Vancouver Island in 1861, he was largely instrumental in securing the union of that Colony with the Colony on the Mainland, his policy being the concentration of small units into one powerful whole. This policy was manifested again when, with all his might, he advocated the inclusion of British Columbia in the Confederation of the Provinces of Canada, and the creation of the Dominion of Canada. That policy was at the time very unpopular in the City of Victoria. But unpopularity did not deter Dr. Powell from doing what he considered his duty, and he lived to see the cause he had advocated triumph, and its opponents converted to the perception of the benefit and grandeur of the result. After 1871, the efforts Dr. Powell had made on behalf of Confederation and his standing in the community were recognized by his warm personal friend, Sir John A. Macdonald, who offered him a Senatorship. This, owing to the time annually involved, and the consequent neglect of private interests entailed thereby, he could not afford to accept; but in 1872, at the request of the Canadian Premier, he became Superintendent of Indian Affairs in the Province, in which capacity, and as Indian Reserve Commissioner, he remained until 1890. Any one familiar with the history of Indian affairs will appreciate the difficulties incident to the settlement of the whole question of Indian lands as between the Province and the Dominion, and the Indian Commissioner’s share in this was necessarily a very important and responsible one. The present satisfactory state of Indian affairs in B. C., including the system of industrial schools, is to a large extent due to him. Another matter in which he took an initiative part was in in­ducing the Canadian Pacific Railway to extend its line from Port Moody to Granville, now Vancouver City, making the latter its real terminus. 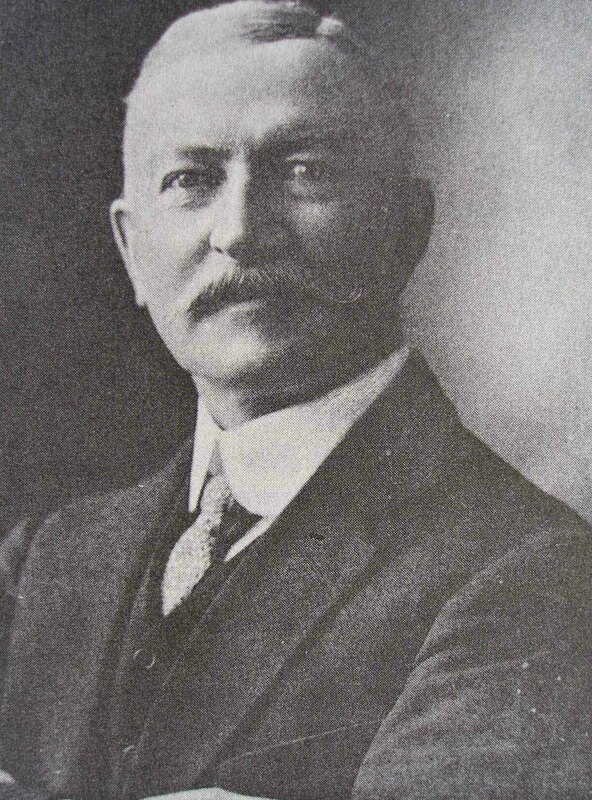 In this he was associated with Major Dupont, and the late David Oppenheimer, who formed the Vancouver Improve­ment Company, and who were mainly instrumental in getting the Provincial Government to assist by a grant of land in South Van­couver. The above-mentioned services of Brother Powell to the Dominion and the Province serve to illustrate the ability and energy which he brought to bear in many directions of public ac­tivity, and the success that attended all his efforts. His Masonic career was equally brilliant. He was raised a Master Mason in Elgin Lodge, No. 348, G.R. Scotland, Montreal at the age of 21, in 1858. In 1861, he was installed as Worshipful Master of Erie Lodge, No. 149, G.R. Canada. He affiliated with Vancouver Lodge, No. 421, G.R. Scotland, in November, 1862, and was installed Worshipful Master of that Lodge in December of that year. Five years later he was appointed Right Worshipful Provincial Grand Master of British Columbia, by the Grand Master Mason of Scotland in 1867, and held that high office till 1871. This is not the place to discuss in detail the steps that led to the formation of the Grand Lodge of British Columbia. Suffice it is to say that Right Worshipful Brother Powell, deeming the time ripe for that consummation, brought his ability and energy .to the task, and with the assistance of other distinguished Brethren, succeeded in the formation of this Worshipful Body, of which we are all proud, and which is the best monument to our late Brother. Elected first Grand Master in 1871, he continued to hold that office for three years. On his retirement, he virtually abandoned active service in the Craft; but, until the last, he pre­served the kindest feeling towards Freemasons and Freemasonry, and never relaxed his interest in the affairs of his Lodge. This brief account of the career of Most Worshipful Brother Powell will give the Brethren of Grand Lodge some idea of the wonderful energy that he brought to bear on many matters af­fecting the interests of his country and of Freemasonry. But this sketch would be cold and incomplete if it did not attempt to por­tray the beautiful personality of our beloved and distinguished Brother. No one who ever came in contact with him could resist his. bright, sunny disposition and the kindness and courtesy with which he invariably treated acquaintances and friends. In his own home he was an ideal host, and his numerous friends can look back with pleasure to happy evenings spent at Oakdene, and with a feeling of sadness that never again in this world will they hear his cheerful voice, or see his bright, youthful-looking face. In the latter years of his life, a great calamity, which would have wrecked the happiness of a less spiritual-minded man, threw a shadow on the life of Brother Powell. Owing to an affection of the eyes, he gradually lost his power of vision, and, for some time before his death, he lived in material darkness. But that calamity, great as it was, only served to bring into greater relief his beautiful character which was not dependent on external blessings, but which was buoyed up by his strong spirituality. Few men have borne a heavy cross with more fortitude. The same high, almost boyish, spirits that characterized him before he lost his sight, con­tinued after he was plunged in darkness. His only fear was that he might be a source of trouble to his family, to whom he always was a pattern husband and father and by whom he was looked up to and adored as such. Shortly before his death, he celebrated the fiftieth anniversary of his marriage with the gracious lady to whose comfort and sup­port through that long period he owed so much. Our Brother was so delighted with the letters of congratulation he received on that occasion that we may thank God that he and Mrs. Powell were spared for that crowning felicity. Our Brother was buried, at his own desire, according to the ritual of the Craft, the Most Worshipful Grand Master officiating, and officers and members of Grand Lodge attending in great numbers. The Masonic pall-bearers consisted of six Past Grand Masters, while the honorary pall-bearers included the Lieutenant- Governor of British Columbia, the Premier, and other men of distinction in the community—all wishing to testify by their presence to the love and respect in which they held him. As the funeral procession passed Oakdene, in which our Brother had so long made his home, the Brethren bared their heads in mute salutation, all of them thinking of the sorrowful family now left without their loving head, and praying that The Most High would especially comfort the bereaved lady who was then seeing her loved one being borne to his last resting-place. The bright sunshine of that day may be taken as emblematical of the brilliant light with which our First Grand Master was hence­forth to be surrounded in that Grand Lodge Above, where there is no more darkness, and where he will forever enjoy the blessings of Light. “901 Richmond Avenue, Victoria, B.C., October 8, 1927. Dear Mrs. Powell:- At a meeting of the Grand Chapter of Royal Arch Masons of British Columbia, held last Wednesday, the 5th instant, to celebrate the sixtieth anniversary of the formation of the first (Columbia) Chapter in this Province, many most eulogistic allusions were made to the splendid work of your late husband, Dr. Powell, not only in the part he took in obtaining a charter from the Grand Chapter of Scotland for Columbia Chapter, of which he was the First Principal L., but also in being the principal actor in the formation of the Grand Lodge of British Columbia. The Earl of Cassillis, Grand First Principal Z. of the Supreme Chapter of Scotland, was naturally very much interested in the great superstructure that has been raised on the small but firm foundation laid by Dr. Powell, and has requested me to convey to you the high respect he has for his memory and admiration for his splendid work for Freemasonry, which he considered almost unique in the history of the Craft. His Lordship also wished me to express to you his deep regret that the arrangements that had been made for him during his brief stay in Victoria would prevent the possibility of his waiting on you in person, but he had heard of your great interest in Freemasonry and the support and encouragement you had always given to your husband, which he was sure would always be a sweet memory to you. He therefore desired me to tender to you his best wishes for the improvement of your health, and for every blessing during the rest of your days. Dr. Israel Wood Powell is buried in Ross Bay Cemetery, Victoria, B.C. Dr. Israel Wood Powell family grave, Ross Bay Cemetery, Victoria, B.C.